Keep proper VAT records on incoming and outgoing transactions. Pay VAT to HM Revenue & Customs (HMRC). In simple terms, a business registered for VAT will pay VAT on its purchases – called input tax – and charge VAT on its sales – called output tax. If the business charges more output tax on sales than it pays in input tax on purchases, it must pay the difference to HMRC. If more input tax has been paid than output tax charged, HMRC will refund the difference, although this is extremely unlikely in the case of a barber shop. It is important to keep tabs on the business accounts and know if and when the registration threshold for VAT will be reached, as deliberate avoidance of VAT is illegal according to a European Court of Justice ruling in 2006 confirmed by a UK court in 2007. A business has to be registered for VAT if it supplies taxable goods and services with a total value of more than the registration threshold. This threshold tends to increase each year and as of 1st April 2008 was £67,000 for the last 12-month period. Even if business accounts show the turnover is below the registration threshold, it is possible to register voluntarily for VAT. This will allow the barbers to reclaim some of its input tax, but it will mean a lot more paperwork as tax forms have to be filled in. 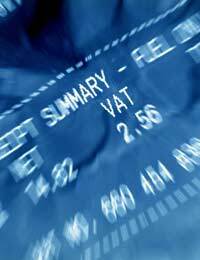 VAT records must be kept and regular VAT returns filed with details of sales and purchases. As a barbers provides a service to the public, who cannot reclaim any VAT charged, there is little point in registering voluntarily for VAT. If the business accounts show there is no option but to register for VAT, some changes will need to be made in the day-to-day running of the barber shop. For sales, starting from the date of VAT registration, the barbers will need to issue VAT invoices. For purchases, the barbers must have a VAT invoice to be able to reclaim any VAT paid. Keep a record of the amount of VAT charged and the amount of VAT paid in separate columns of the business accounts. The standard rate of VAT is 17.5 per cent and businesses usually account for VAT on a quarterly basis. When a business registers it will be assigned a tax period and HMRC will automatically send a VAT return to coincide with the end of this period. Returns can be submitted via the HMRC website and payments made electronically. The completed VAT return and the payment is normally due one month after the end of the tax period, although businesses may be eligible for extra time – typically seven days – if they pay electronically. An agent can be chosen to submit returns using the VAT Online Returns service, but the owner of the business will remain legally responsible for the declaration and payment of any VAT due.